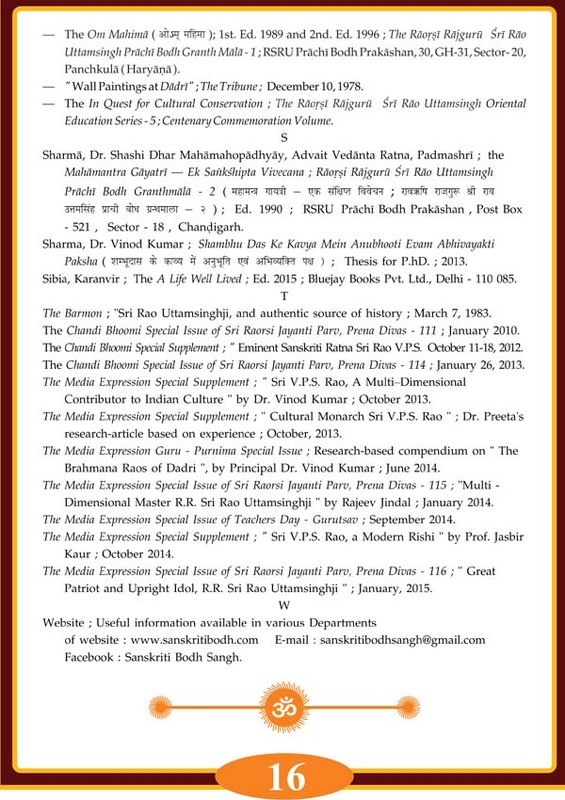 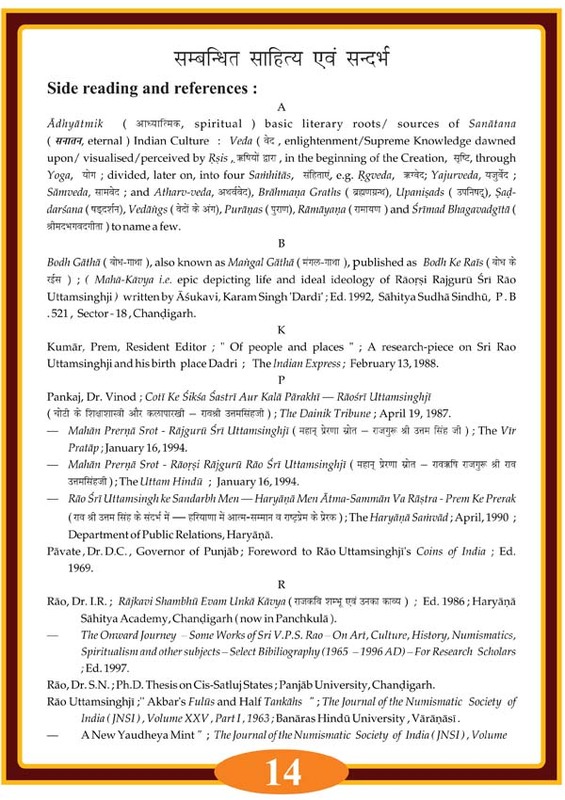 Excerpts from Sri V.P.S. 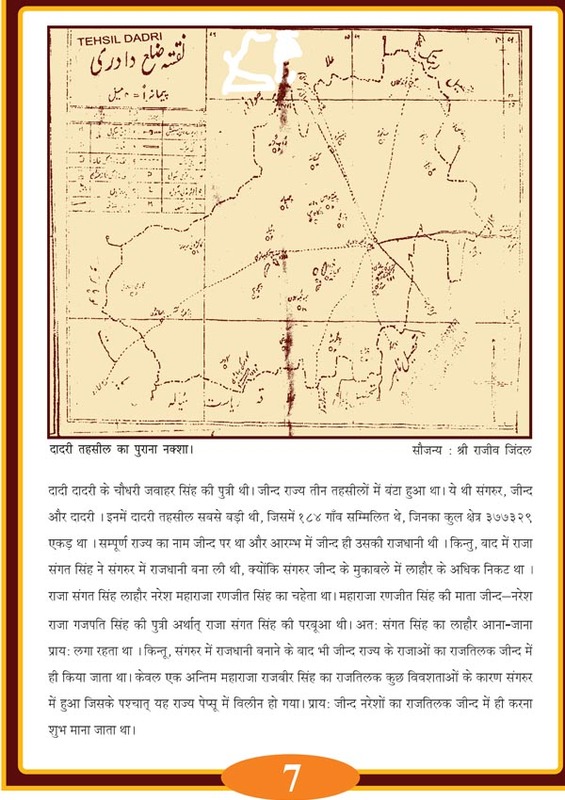 Rao’s above book, where in has been discussed the ancient, mediaeval and modern history of (Charkhi) Dadri from literary and cultural points of views….. including its nomenclature, history, growth and development of literature, fine and miner social arts and patrons thereof, besides historical families of note….. Dadri has been a distinctive place, known for a typical cultured of its own…. 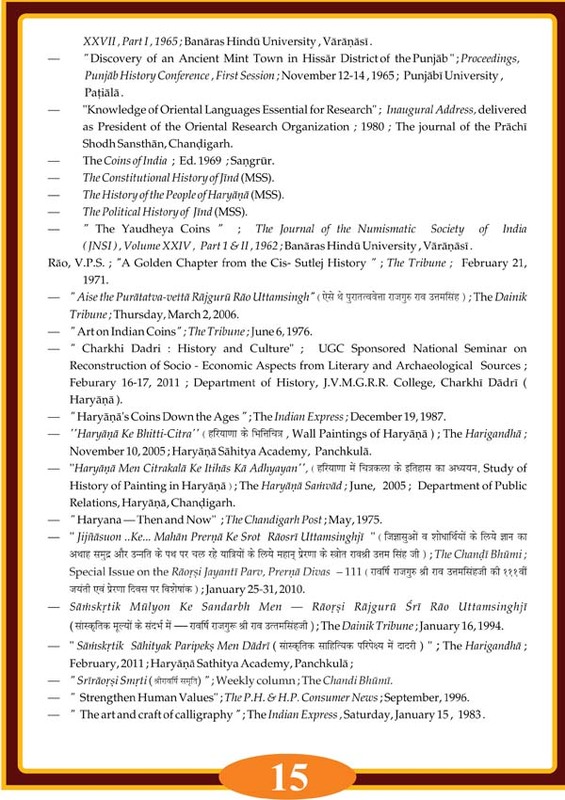 enriched, from time to time, by distinguished saints, commanders, scholars and developed sons of the soil, who distinguished themselves in various fields of life…. 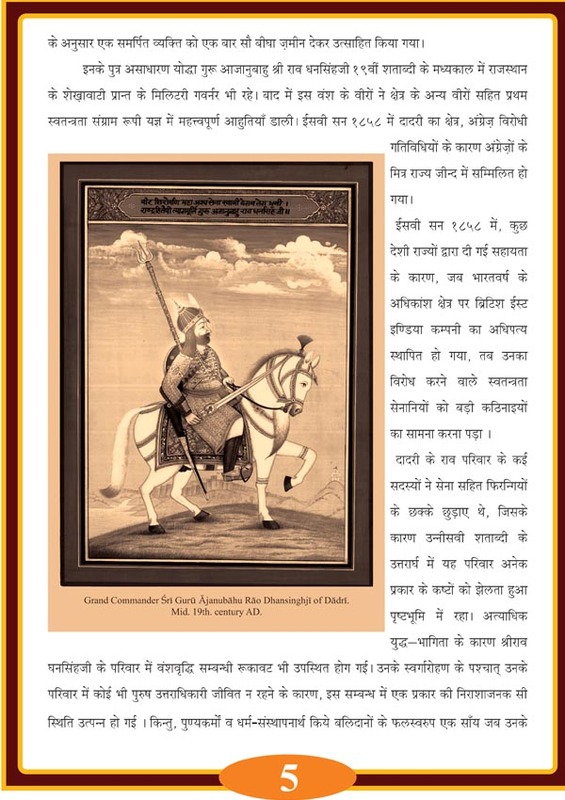 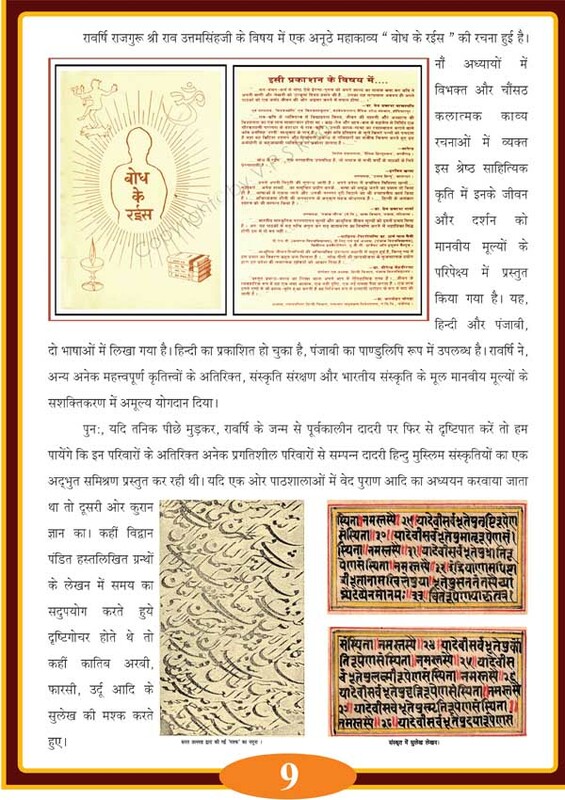 This concise compendium was originally prepared on the Sri Raorsi Jayanti Parv, Prerna Divas – 112, to mark the 112th birth anniversary of Raorsi Rajguru Sri Rao Uttamsinghji of Dadri. 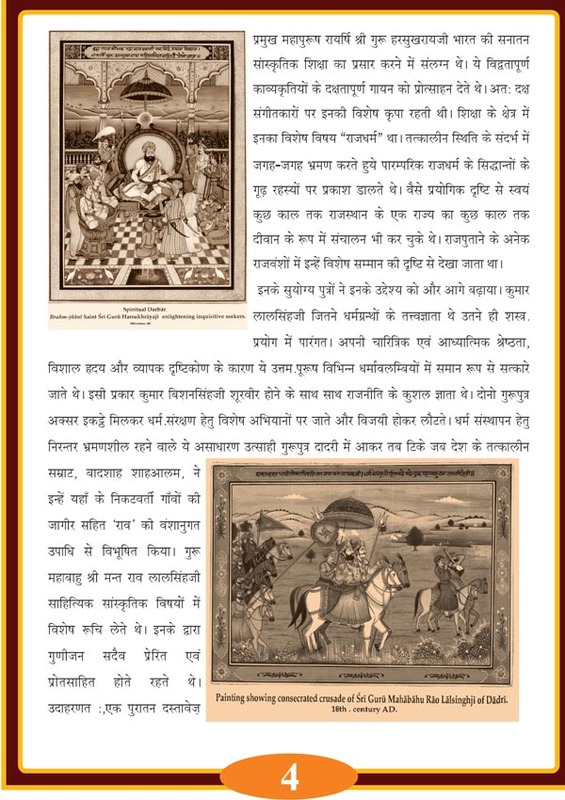 He took birth at Dadri on January 16, 1900 AD. 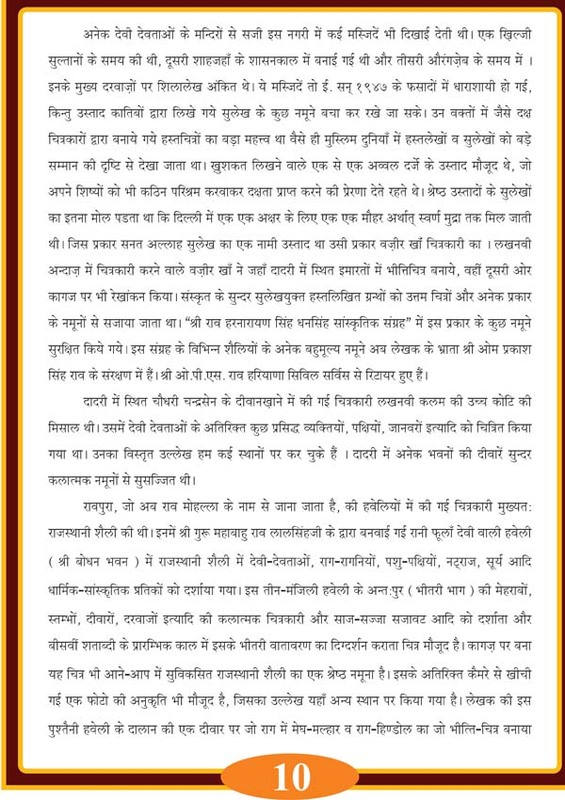 A major parts of it was published in the “Harigandha”, official monthly journal of the Haryana Sahitya Academy, Panchkula, in February, 2011…. 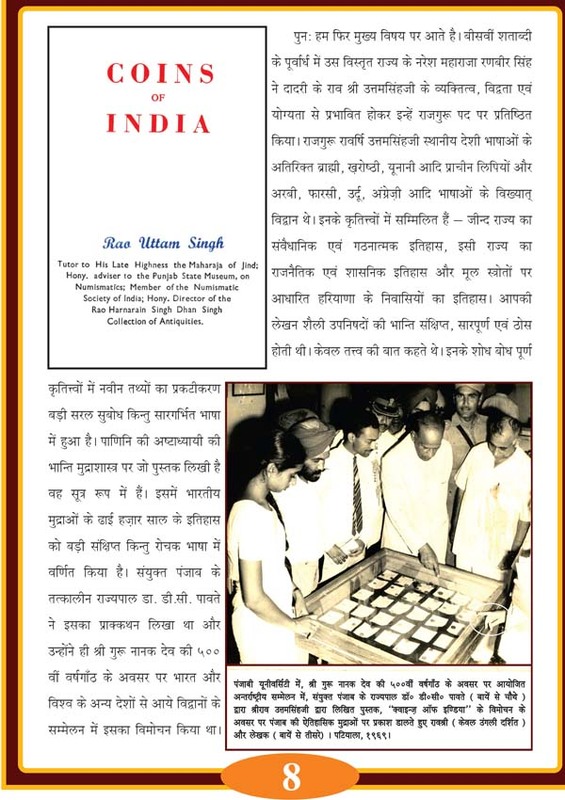 Some additional relevant information along with a few representative illustrations have now been added to make it more informative, lively and interesting in view of the demand of avid readers.